Undeclared meat intercepted by Australia’s Department of Agriculture. VICTORIA’S peak farmer body has come out in support of refusing entry to travellers who are multiple offenders in failing to declare plant and animal material when entering Australia. Victorian Farmers Federation president David Jochinke yesterday called for increased investment in biosecurity monitoring at Australia’s borders and harsher penalties for those caught with prohibited animal and plant products. Minister for Agriculture David Littleproud yesterday confirmed that African Swine Fever and Foot and Mouth Disease virus fragments had been detected in declared and seized pork jerky, sausages and pork products in December last year and January-February 2019. Australia is currently free of FMD and ASF. Mr Littleproud said his office would work with the office of Minister for Immigration David Coleman’s to explore ways to refuse entry to any traveller who is pinged a second time. Neither the minister nor the Department of Agriculture has said what penalties or fines were imposed on those responsible for the diseased samples. But the minister’s “zero tolerance” statement said wherever possible, travellers who fail to declare will be issued with an infringement notice and fine for hundreds of dollars for providing false or misleading information/IPC (Incoming Passenger Card) document. These actions will be recorded and form part of a future intervention approach for targeting non-compliant travellers. The department will also look at ways to penalise, prosecute and stop people bringing plant and animal risk material into Australia through the mail. A departmental spokesperson said people who fail to declare biosecurity risk material have always been subject to infringements and prosecution. The spokesperson said serious offences will still be dealt with through civil or criminal prosecution. “For foreign travellers, proposed changes to legislation would enable border officials to refuse entry to Australia if someone repeatedly contravenes our biosecurity system. “The two products that tested positive for FMD virus fragments were packets of Bologna sausage and these were declared,” the spokesperson said. Mr Jochinke said he “absolutely” supported refusing entry to multiple offenders and was concerned that no public example was being made of offending travellers. “Either way, we would support a tougher stance on it and if that is one of the measures (entry refusal)…. “If they are unwilling doing it they need to get a fair slap on the wrist, but if they are willingly doing it, it needs to be escalated,” he said. “Australia’s national biosecurity is critical for our food, beverage and tourism sectors. “We have seen Foot and Mouth outbreaks in other countries and what it has done to their economies,” he said. “We know 283 illegal pork products were detected at the border in a two-week period. “Of these, 40 were infected with African Swine Fever and three with Foot and Mouth Disease,” Mr Jochinke said. “We only need one infected product to go undetected to jeopardise our whole industry. “We need more investment in Federal and State biosecurity controls and greater deterrence through harsher penalties for deliberate breaches of our import standards,” the VFF president said. Mr Johincke said the current penalties are “no more than a slap on the wrist”. FMD can be transferred to animals through eating plant or animal matter or by coming into contact with the virus. Once the disease is established it would likely spread through close contact between animals, and also through the air over short distances, affecting sheep, cattle, deer, goats and pigs, causing them to fall extremely ill and develop blisters and painful lesions. Studies have estimated $50 billion of economic losses over ten years if there were large to medium outbreak of FMD in Australia. FMD is present in many Asian countries including China but is not present in Australia’s closest neighbour, Indonesia. ASF is present in sub-Saharan Africa and some countries in Eastern Europe, in Belgium in wild boar and now also China and Mongolia. The Department of Agriculture ramped up screening and testing efforts last year when ASF was confirmed in China. Minister Littleproud said he wouldn’t tolerate travellers risking Australian farming. “No light touches or slaps on the wrists. “My job is to look after Australia and its farmers, not pander to political correctness,” he said. “I expect the Department of Agriculture to issue fines against any person who fails to declare meat in their luggage. “We need a penalties-based system, not a warnings-based system,” Mr Littleproud said. Mr Littleproud said the issue needed to be taken seriously by travellers. “If you fill out the forms honestly you’ll have no problem,” he said. 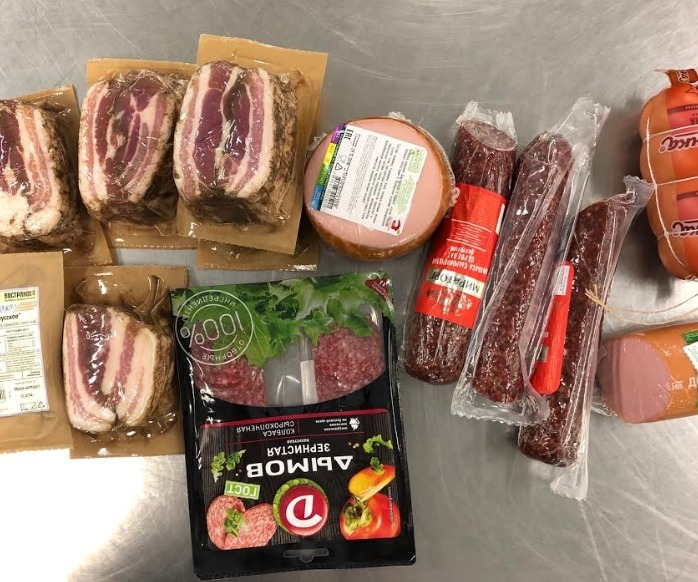 Declared and seized pork jerky, sausages and pork products were collected over two periods – 3 December to 16 December 2018 and 21 January to 3 February 2019 and sent to the Australian Animal Health Laboratory for testing. During both periods, ASF virus fragments were detected in seized product. Testing confirmed six samples out of 152 contained ASF virus fragments in the first period, and that a further 40 samples out of 283 were contaminated with ASF virus fragments from the second period. Further testing was carried out on the products collected during the second period to assess the risk of FMD. Two samples out of 283 have been found to be contaminated with FMD virus fragments with one further sample being inconclusive. The two positive FMD samples and one inconclusive sample were from products declared by passengers. These results do not change Australia’s ASF-free and FMD-free status.